The zenith of this Dutch band’s popularity was in the early 1970s, with their first four albums (‘In And Out Of Focus’, ‘Moving Waves’, ‘Focus III’ and ‘Hamburger Concerto’). All sold in vast numbers. Always rather quirky, and with a tendency to include a veritable potpourri of stylistic approaches, their finest hour came either with (it depends upon whom you ask) ‘Hocus Pocus’ which included wild falsetto yodelling over a determined progressive rock jam or ‘Sylvia’ a much more refined and delicately structured instrumental. Indeed, Focus has always been more about instrumental music than “songs”. Throughout this period, multi-instrumentalist Thijs van Leer (TvL) was the one constant member of Focus, but he called time on his by then rather directionless ensemble. 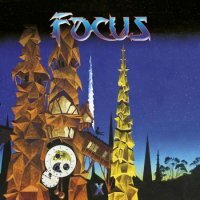 Over 20 years elapsed before the band was firmly re-established (following several short-lived reincarnations), ‘Focus 8’ being released in 2002, ‘Focus 9 (New Skin)’ not appearing until four years later and now the present release another six years down the line. Before hearing a note, I was wondering whether this might be a desperate attempt at recapturing past glories, but I was, perhaps, rather ignoring the band’s more stable personnel in this new millennium. ‘X’ is once again a mainly instrumental album, with TvL providing vocals where used, except on ‘Birds Fly Over (Le Tango)’ where Ivan Lins guests. Overall, this is an album bristling with virtuoso performances. Van Leer’s flute and Hammond organ permeate many tracks like a rash, while Menno Gootjes’ guitars provide flashes of brilliance, tonal variation, short solos and amazing riffs just as required. The rhythm guys (bassist Bobby Jacobs and drummer Pierre van der Linden) lay down a masterful sheen for their colleagues to embellish. Nowhere is this more pulsating than in album closer ‘Crossroads’, where they also get to play the album out with a short drum solo and bass/drum segment which ends in a fade…Dammit! Album opener ‘Father Baccus’ – a brilliant, driving, rock track – also fades unnecessarily. In between, there is all manner of delightful treats, umpteen with very listenable jazz/rock fusion credentials such as the romantic title track and ‘Amok In Kindergarten’, while other highlights include the idiosyncratic numbers ‘All Hens On Deck’ and ‘Talk Of The Clown’ and ‘Victoria’ with its unexpected progression. 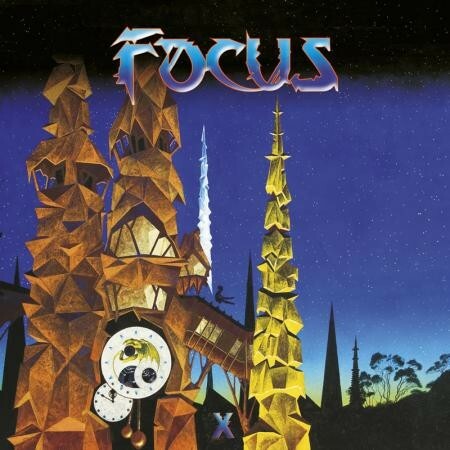 The current formation of Focus comes across as a highly accomplished and cohesive unit and they have produced an album that is on the whole a definite return to form, is refreshing to hear, and is fully deserving of its Roger Dean cover painting.